25 janvier 2018 par Michèle T.	| Nos suggestions adultes. Langue : Anglais. Genre(s) : Humour. This is an enjoyable romp and very fun reading experience. You will meet Audrey, aka Oddly, who returns home to Newfoudland to come to her father’s side. 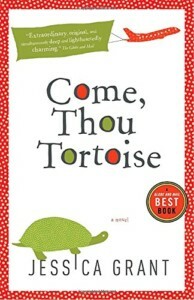 She leaves behind her tortoise (who narrates some of the chapters).